Fiona over at Finding Fifth has one of my favorite linky parties – Sunday Stash. She gracious let me host it this week!!! Today, when I looked around my sewing room, I realized that it looked like a tornado had hit it. I have spent the whole day cleaning it up….most of the time was spent putting fabric away. 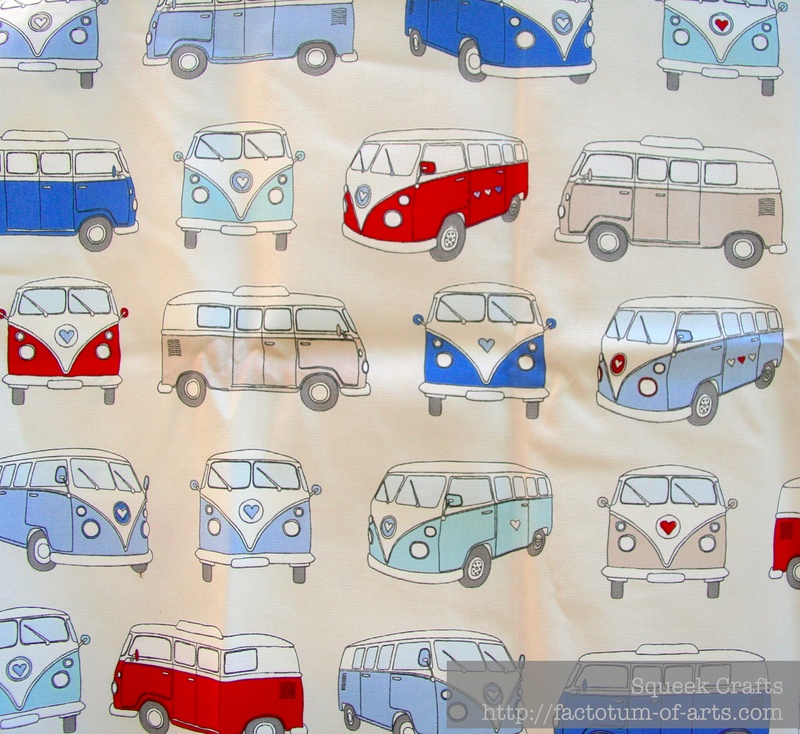 While I was cleaning up, I found this fabulous Home Decor VW van print which I received from Terry’s Fabrics. I am so happy I found it, as I think I am going to make two floor cushions for my son, for Christmas. That will mean I have one gift done. 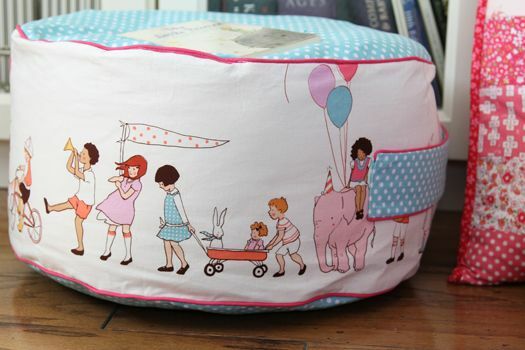 I can’t make up my mind for a square or round cushion….the idea came from this pillow from Sarah Jane Studios. Have you started working on those Christmas gifts? Do you have some fantastic fabric to show, then please link up below. (NOTE: Unfortunately, I am a wordpress.com site so the link-up will appear in a separate window). This entry was posted in Uncategorized and tagged fabric, sunday stash, Terrys Fabrics on October 26, 2013 by mlwilkie. Oh my! No I have not started making Christmas crafts. That round coshion is adorable though. Thanks for hosting today Michelle. I LOVE that fabric! Perfect for floor pillows! Amazing fabric and a floor cushion is great idea to showcase it. 🙂 My husband is a huge VW person and misses his van, might have scraps to do something for him – who knows. The round cushion would be adorable! That is some seriously cute fabric too, nice find!